A space station. A barroom brawl. An atmosphere-skimming spaceship battle. A cold-case mystery. A critter-filled jungle expedition. And an aerial vehicle chase in High-G. Welcome to Broken Circle, the fourth exciting chapter in the Seven Worlds epic campaign! 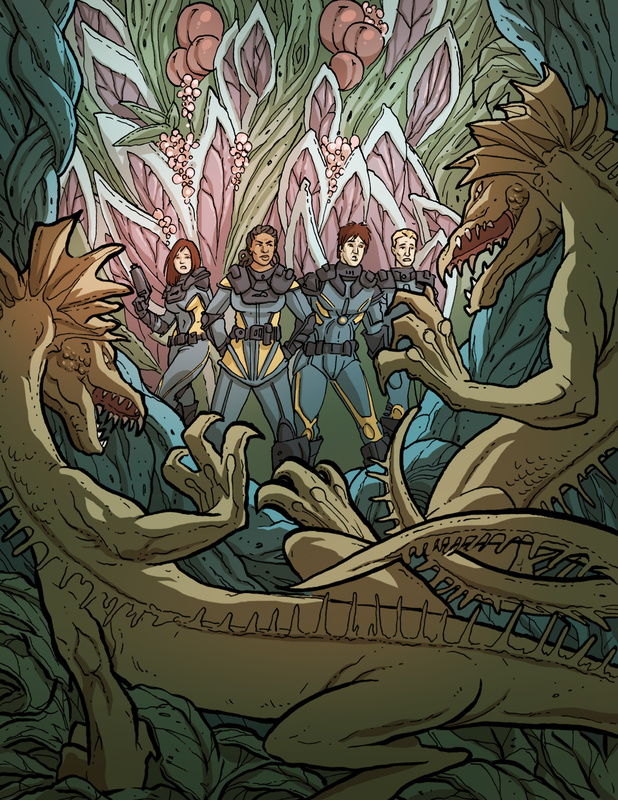 In Broken Circle, while human space slowly but surely falls to the alien invaders known as the Devourers, the heroes get involved in a dangerous rescue mission in the savage jungles of Logan’s End. The reward for a successful rescue: The solution to the mystery surrounding the tragic story of a long-dead smuggler spaceship crew; and the coordinates of a mysterious place known only as Chrysalis, the heroes’ only hope to save the Seven Worlds from annihilation! Broken Circle also includes five new side stories so your players can explore the Seven Worlds while they play the main campaign! 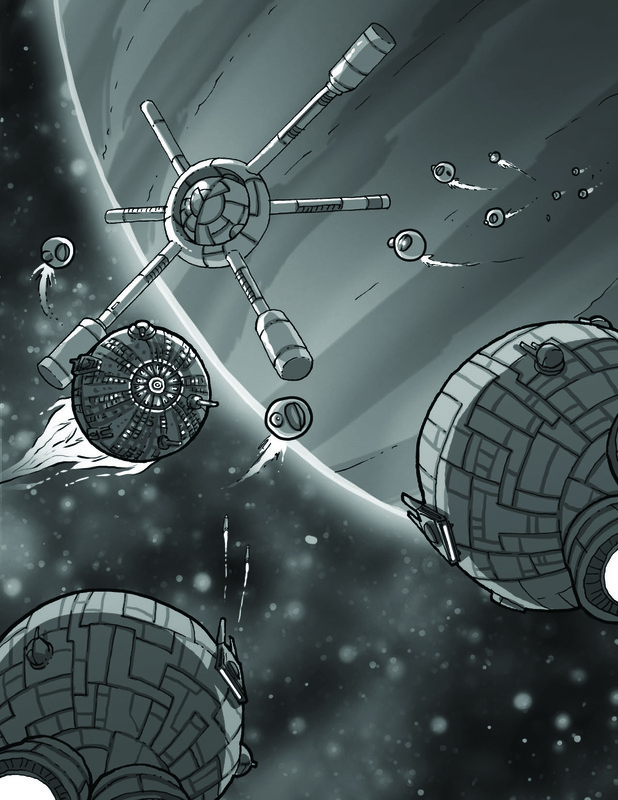 If you were a Gamma-, Delta- or Epsilon-level backer you should have Broken Circle available as a new PDF in the Seven Worlds Campaign Subscription you have received through DriveThruRPG/RPGNow. If you still haven't received your backer links and rewards yet, maybe you haven't filled the original survey with your reward information. If you didn't, go ahead and fill the survey. If you did and have not received anything, contact me at luis@intellistories.com for help. 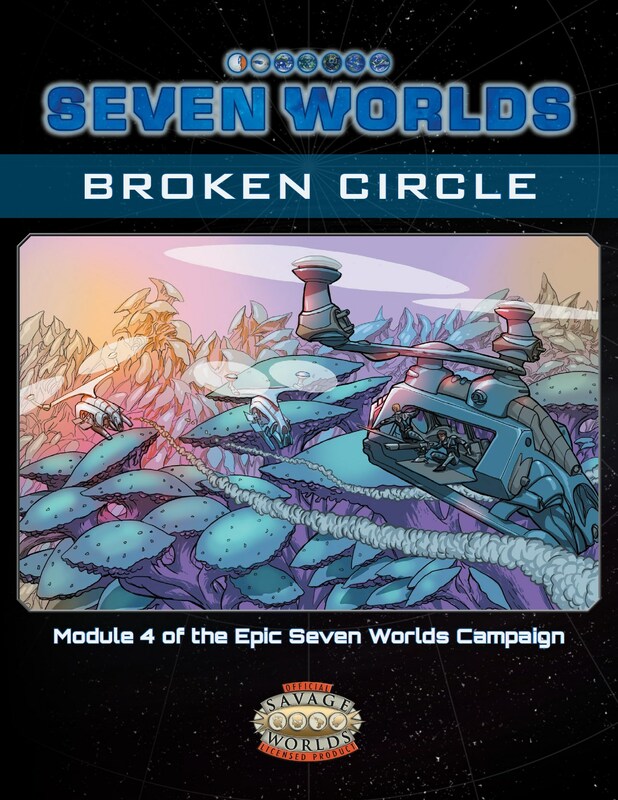 If you were not a backer for the campaign modules, you can still purchase Broken Circle as a stand-alone module at DriveThruRPG/RPGNow, or as part of the Seven Worlds Campaign Subscription. Purchase the subscription to get all seven modules (as they are released) at an almost 20% discount when compared with single module pricing. On top of that, the subscription also includes the full Seven Worlds Campaign Book PDF (a 253-page one volume compilation of all seven modules with exclusive Campaign Book cover art) at no extra cost!